What Do Dogs Do All Day Anyway? Ever wonder what your dog does all day while you’re away? 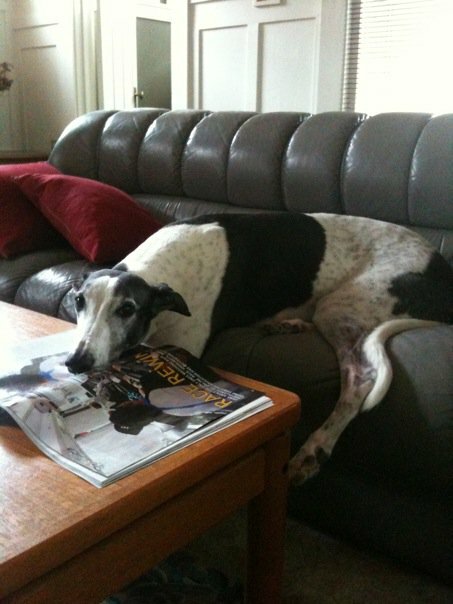 Our retired racers like to log a lot of hours on the couch. Larry enjoys keeping current with the world of bicycle racing. This entry was posted in Uncategorized and tagged dog, Greyhounds, Larry, Methow Dog, retired racer, treats. Bookmark the permalink. 1 Response to What Do Dogs Do All Day Anyway? Great blog. I love dogs. Rescued greyhounds are the best. They deserve to relax and enjoy life after what the’ve gone through. All the best.